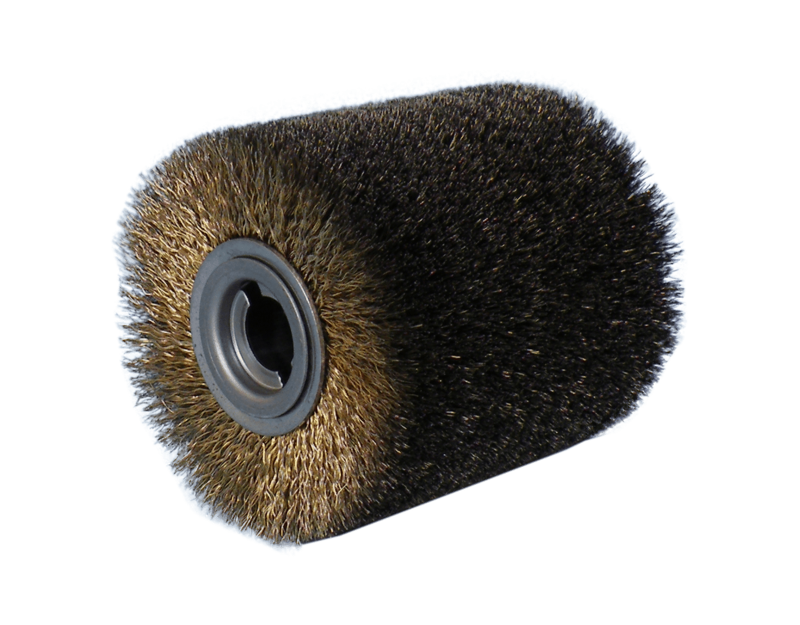 The round brushes FAPI-ROUND are especially suited for rustic texturing on profile boards, beams, etc. 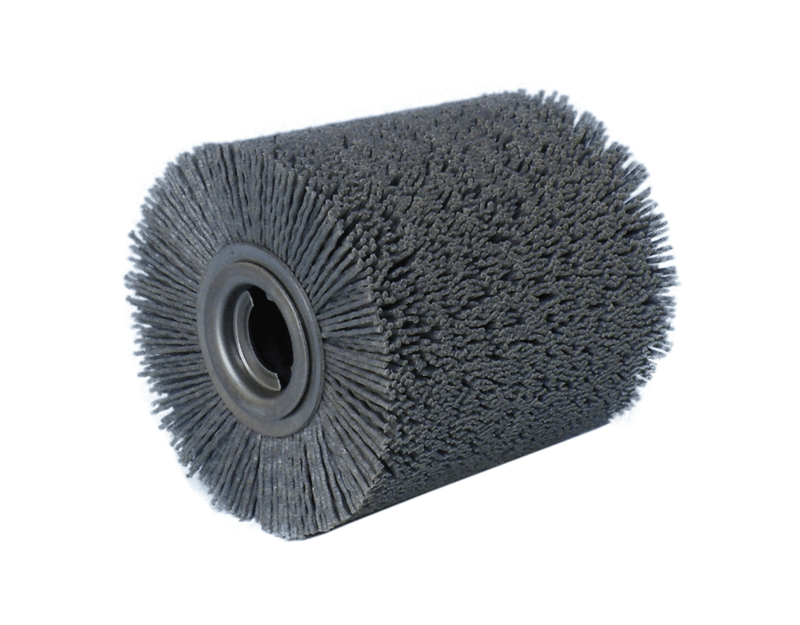 The right brush with the best possible surface must be used for texturing. The use of a brush surfaced with silicon carbide bristles gives the wood a light surface texture which gives the wood a lively and rustic look. To give the wood surface an especially deep texture, in the 1st work step, a stranded wire surfaced brush is used, while in the subsequent treatment (2nd work step) a brush with silicon carbide bristles 1.27/grain 80 is used. The stranded wire facing is ideally suited for high abrasion on soft and hard wood, whereby the depth of the texture (brushing away the soft growth rings) can be set individually using the cutting speed, the feed, the advance and repetition of the work step. 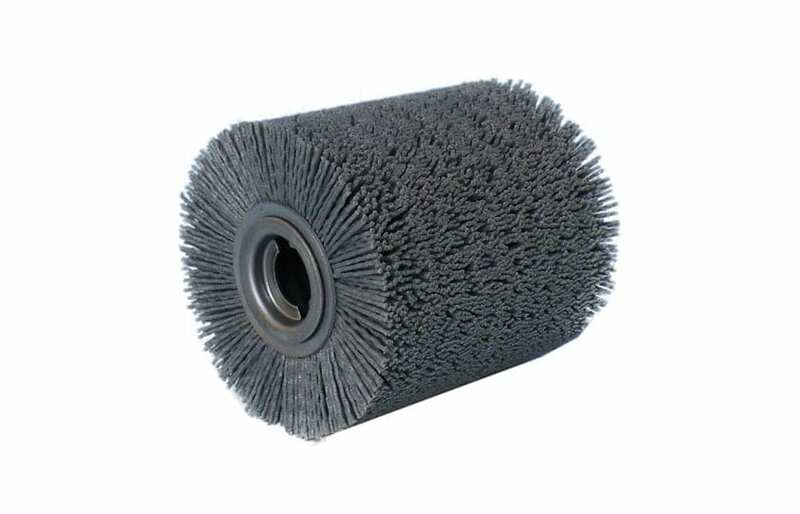 The brush surfaced with silicon carbide bristles is after that used to remove the existing wood fibres to ensure an ideal surface for painting and staining. At the same time, the soft growth rings in the wood’s surface are carved our further.